There has been a dramatic growth in the development and application of Bayesian inferential methods. Some of this growth is due to the availability of powerful simulation-based algorithms to summarize posterior distributions. There has been also a growing interest in the use of the system R for statistical analyses. R's open source nature, free availability, and large number of contributor packages have made R the software of choice for many statisticians in education and industry. Bayesian Computation with R introduces Bayesian modeling by the use of computation using the R language. The early chapters present the basic tenets of Bayesian thinking by use of familiar one and two-parameter inferential problems. Bayesian computational methods such as Laplace's method, rejection sampling, and the SIR algorithm are illustrated in the context of a random effects model. The construction and implementation of Markov Chain Monte Carlo (MCMC) methods is introduced. These simulation-based algorithms are implemented for a variety of Bayesian applications such as normal and binary response regression, hierarchical modeling, order-restricted inference, and robust modeling. Algorithms written in R are used to develop Bayesian tests and assess Bayesian models by use of the posterior predictive distribution. The use of R to interface with WinBUGS, a popular MCMC computing language, is described with several illustrative examples. This book is a suitable companion book for an introductory course on Bayesian methods. Also the book is valuable to the statistical practitioner who wishes to learn more about the R language and Bayesian methodology. 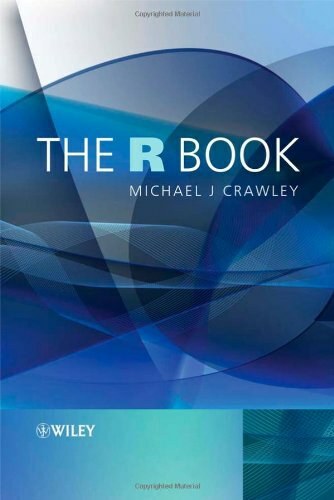 The LearnBayes package, written by the author and available from the CRAN website, contains all of the R functions described in the book.